Introducing the new PGS-A series to the Performance Gaming System (PGS) family. 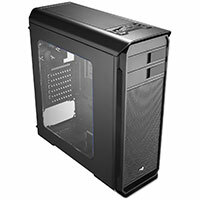 A, stands for Airflow, it is one of the most important aspect when it comes to building a PC case. The accumulation of heat slowing down PC performance, the clusters of cables cause blockage of smooth airflow inside limited chassis space, these are the concerns that lead us to develop PC cases with improved cable management ability, greater expandability to accommodate more hi-end water cooling systems and fans, and most importantly the exterior design that excel in the concept of transporting air from one end to the other. For gamers and PC enthusiasts, they can finally stop worrying the building up of heat and for ordinary users, they can finally get a feel of what a truly good performance of a PC is. 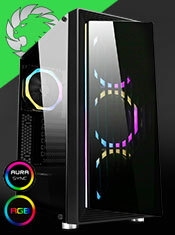 Superb gaming case aimed for great airflow performance. 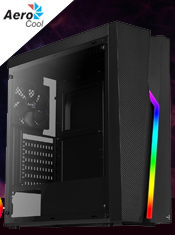 Specially designed top metal cover with extended depth to easily install 240mm water cooling system. Bay covers are designed with a simple flip mechanism for easy removal of bay cover without removing the front panel. Support hi-end graphic cards up to 374mm. Supports max. CPU cooler height of 155mm. Supports max. PSU length of 180mm. Magnetic metal mesh sheet on top panel is easy to remove for cleaning and adds style to the chassis. Supports up to 4x3.5� HDD and 2x2.5� HDD/SSD. 1 x USB3.0 + 2 x USB2.0 / HD Audio + Mic.